On the construction site, works must be carried out professionally, accurately and safely at all times. In this situation, any assistance is welcome. 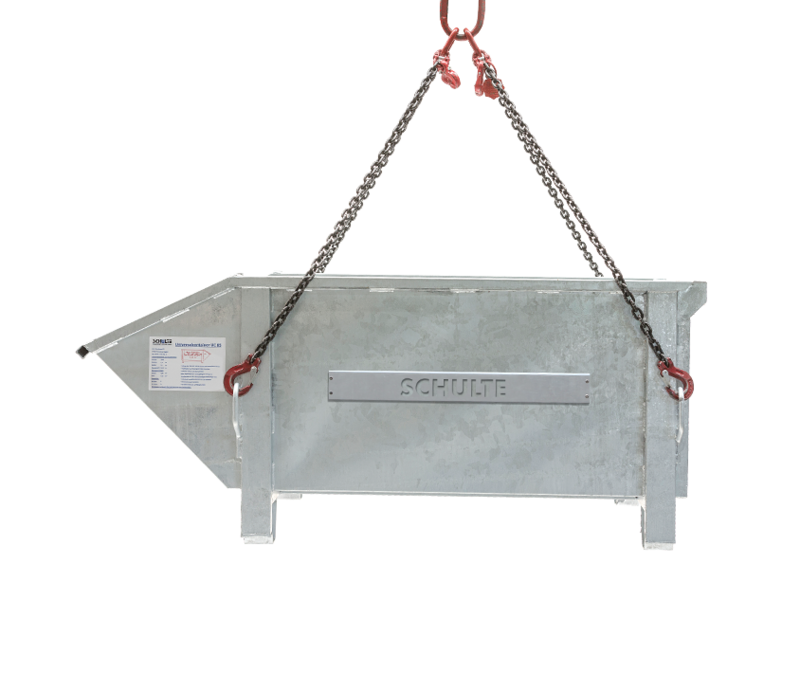 Thanks to our innovative construction machines, we are always one idea ahead and facilitate many working steps for you – especially when handling heavy large-size stones. 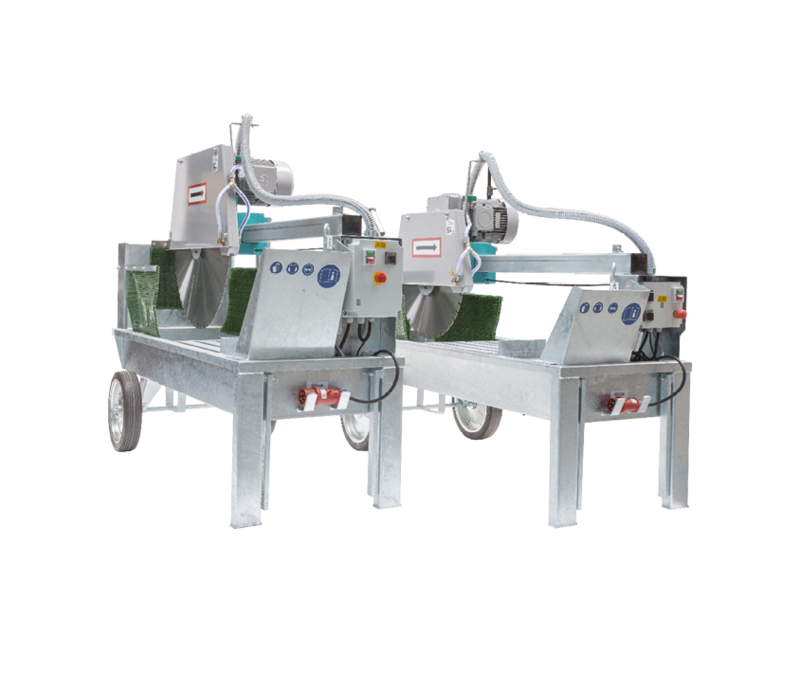 Try our STEIN-REX® 2.0 brick transfer device with its flexible multiple articulated boom, our powerful STS 900 stone saw which easily cuts through lime sand bricks, aerated concrete or honeycomb bricks and many more supporting tools. You will appreciate the details and not want to do without them afterwards. Our quality standard. Your advantage. 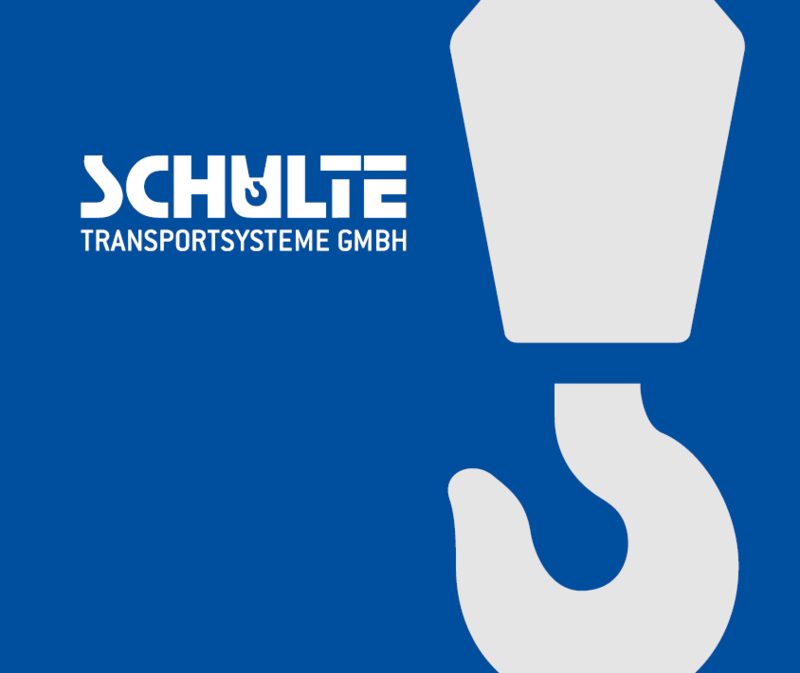 Schulte transportation systems: This means construction machines with the highest quality standard made in Germany. 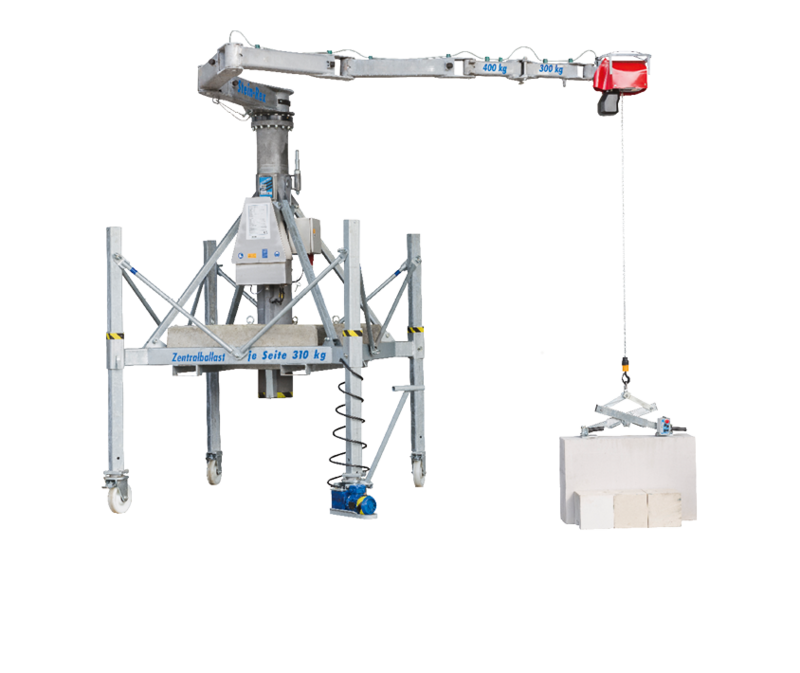 Experience a new level of mobility with our brick transfer device, the STEIN-REX® 2.0 mini-crane which can balance out uneven ground using height-adjustable support legs and can be manoeuvred and transported with little space required thanks to its articulated arm boom. 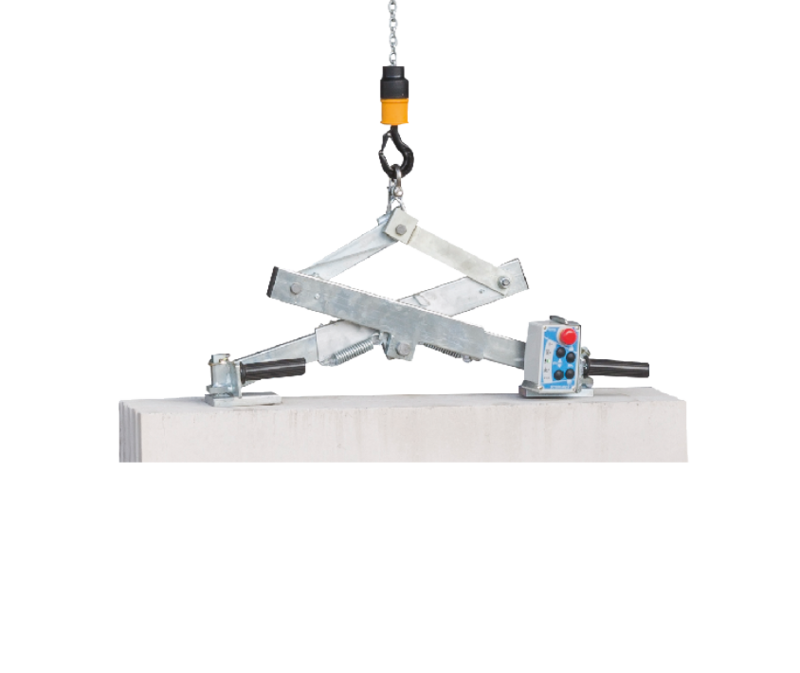 At the same time, it is still very resilient and eases the transport of stone packages, block stones, concrete precision blocks and similar stone forms considerably. The STEIN-REX® 2.0 is a good example of our attention to detail and our aspiration to solve recurring problems with innovative technology. This principle is also reflected in our other products in which, together with the optimal functionality of, we always consider the user's safety. In this context, we are very proud to have been certified by the technical surveillance organisation according to ISO 9001 for the process sequences within our company. This means for you that you may rely on professional and helpful communication – this comes from our desire that you organise your work more simply and efficiently. For this reason, we do not leave you on your own with our products, but are gladly and personally available, to answer any questions.